How ’bout a vote? We’ve been nominated for the Sleeter Group 2016 Awesome App Award and would love your support. You can even vote every day if you want! As an adult, don’t you regret how hard you fought naps as a kid? Sadly, naps are almost non-existent in the adult world, so you really have to maximize your sleep at night. A lack of sleep results in poor decision making, weight issues, decreased athletic performance, and much more. So how do you get the sleep you need to achieve ample levels of awesome during your day? Make your bedroom a sanctuary. Keep it dark. Remove distractions such as televisions and other electronics. Try a bit of light yoga before getting in bed. You’re guaranteed to sleep like a baby. Have you heard that phrase before? It’s all about owning your power (sometimes in cases when you don’t think you have any). No matter how you feel, put your best foot forward and take ownership of yourself and your day. Show up and be seen by the world. One of the many things we love about our CX team is their steadfast participation in “Fancy Thursdays.” Every Thursday, the entire team brings it. They come dressed to impress! You might not know it because they work on phones or via chat all day with our amazing customers, but they know that when you dress your best, you feel your best and you project that onto others. So be sure and show your best to the world. It’s easy to get so caught up in the so-called monotony of our days that we forget to keep our eyes open to the details. Remember how that stranger held the door open for you at the grocery store this morning? Did your eyes do more than glance at the roses in your yard? Did you spot the new bloom? Think back to when you were a kid and would lie in the grass and look at cloud formations in the sky. Big blobs of white suddenly transformed into birds, hearts, and dinosaurs. It wasn’t what you were looking at, it’s what you chose to see. Make sure you choose to see the beauty. Friends. Family. Coworkers. Acknowledge when someone works hard. Praise people for their successes. Encourage when there are opportunities for growth. When you feel appreciated, you feel unstoppable and motivated to keep on keeping on. Make sure the people in your life know they’re appreciated and that their potential is limitless. You DO know that you don’t have to go to that one sandwich shop on the corner for a turkey on rye every single day, correct? You don’t have to get out of bed at exactly 6am. You can take a different route on your way to work. You can walk past the treadmill and pick up weights instead. Make your own lunch. Get up at 5:30am and enjoy your coffee, go on a walk or take the long way to work. It’s your life. You get to choose. Getting into routines is a great way to make certain things consistently get done, but be sure to live a little less out of habit and more with intention. So there you have it. Five simple ways to make your day amazing. Now, go forth and be awesome. 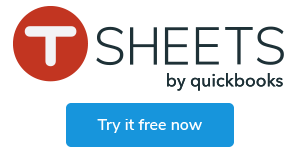 Think TSheets is Awesome? Vote! Speaking of being awesome, TSheets is honored to be nominated for the Sleeter Group 2016 Awesome App Award! We’re in good company and so grateful to our friends for voting for us to win. If you think we’re super awesome, click the #VoteAwesome image below and place a vote for TSheets! Kelly is the exclamation-point-loving, hat-rocking, "Social Spice Girl" of TSheets. When she's not chatting it up with friends of TSheets on Facebook and Twitter, she can be found drinking way too much coffee, listening to hip hop, deadlifting at the gym, and posting a record-setting number of selfies on Instagram – usually all at the same time.